I´ve made a video with a poem about horses. There are 6 exercises. You can watch the video and read the poem. 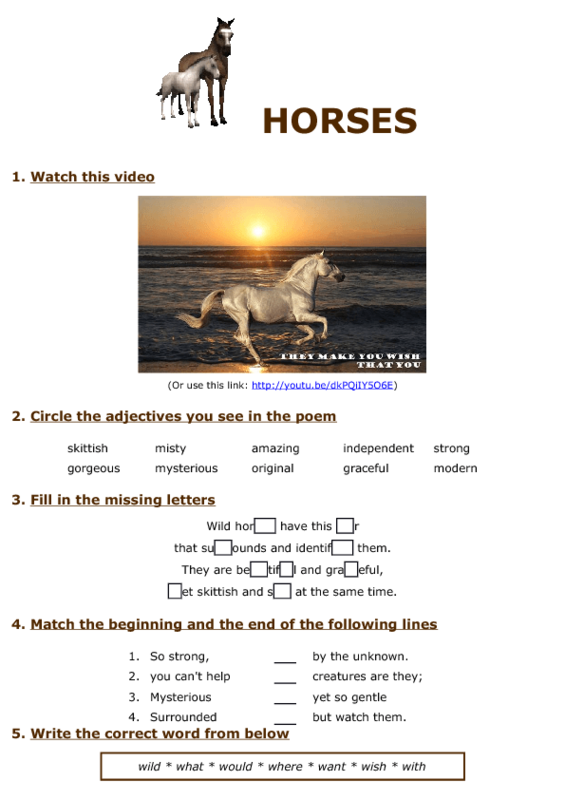 Then you can do the exercises (Circle the adjective, Fill in the missing letters, Match the beginning and the end of the lines, Write the correct word and Find the answer in the poem). Answer key included. Have fun! !